We offer design and optimization of technologies for industrial and farmer’s distilleries, grower distilleries and other fermenting production (biogas, microbiological enzymes, pharmaceuticals and others). We also offer technical assistance in judgment equipment process parameters to increase capacity and efficiency of the production and quality of the products. We prepare proposals for optimal usage of secondary products and wastes of the production process. We also make energy audit including proposals resulting in operating costs reduction. For distilleries we provide a production control and spirit circulation system according to applicable regulations in the field of food production as well as biofuels production (E85). We are able to implement all our proposals including automation and visualization of entire process. 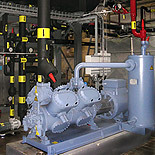 We design and deliver complex control and information computer systems for all the production technologies and connected processes mentioned above. Put to light system of sorting customer orders using light modules to the correct item location into the appropriate orders. Lights illuminate at locations requiring that item, and the quantities needed to fill the order. 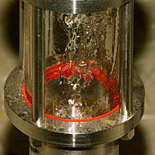 Put to lIght is proven to improve order filling accuracy and shipping productivity. We solve all designs and following deliveries of the equipment in close cooperation with the customer and we try to meet all their requirements and wishes. For various industrial technologies we deliver cooling and refrigerating systems using latest energy conceptions and technical designs. Apart from new technological units we also provide reconstructions and refurbishments of existing units. We are taking advantage of our many years experience of designing solutions minimizing energy consumption and reducing secondary service costs. All devices are, of course, equipped with necessary automatic control system. 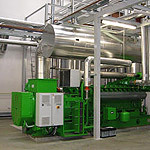 For various industries we design complete solutions of energy centers using co-generation units for a combined electricity production and usage of heat performance We offer no only proposals, but also deliveries of the co-generation units including necessary installations for outputtig the power and connecting it to the distribution system. Complex automation and visualization of the process with possibility of the remote access and including special control algorithms ensuring ultimate energy efficiency of the plant are, of course, included in our deliveries.